We know what causes most breast cancers as well as we know what causes most forest fires. Neither usually happens without some help from humans. This is an important feature to understand and grasp. People who profit financially or psychologically (some people like you better when you are sick) from breast cancer want you to believe that it is some mysterious, unfortunate whim of God or nature. It’s not. Cells in the breast change to cancer cells in self-defense of an environment they find difficult to survive in. The transition to a cancer cell allows the cell to survive that toxic environment. The transition happens over many years. Many of you have cancer cells growing inside you now. The great news is that they will change back to normal if you change your internal environment. How do I know this to be true? Aside from making it happen with my own prostate cancer, I have witnessed it firsthand in many. But I’m waaaaay down the list in a long line of doctors who have made this realization. One of the first to make the realization and document it was Max Gerson, MD. In the 1930’s Dr. Gerson published the results of treatment of cancer by modifying the patient’s internal environment. This was done mostly with diet. There were some adjuncts like coffee enemas, but the center piece of the therapy was a strict vegetarian diet. He presented this information to the U.S. Congress. Obviously, it was ignored in favor of profit producing therapies like chemo, surgery and radiation. His daughter, Charlotte, continues his work today in San Diego and a clinic in Mexico. Look up the Gerson Clinic website for more info. They hold classes to teach anyone how to assist a person with cancer change their internal environment. Dr. Gerson was followed by many others. One dentist, Dr. Kelly, also developed a protocol to change the internal environment. His protocol is now used by Dr. Nicholas Gonzales in NY. Dr. Gonzales regularly cures pancreatic cancer, one of the most deadly cancers. Tom Lodi, MD in Arizona uses a similar protocol. 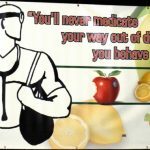 The Optimum Health Institute in Austin/San Diego also embraces this concept. Most recently, the concept has been proven scientifically by Dr. Dean Ornish. Dr. Ornish is a cardiologist who became famous by showing the reversal of blocked arteries using a vegetarian diet and stress reduction. He recently used a similar protocol to reverse prostate cancer in patients who had decided against conventional treatment. He checked the DNA that instructs cells how to behave before starting treatment. It was predictably abnormal. After a period of time on his protocol, he retested and found the genes had returned to normal. Your cells have a survival intelligence and they respond to their surroundings like other living creatures–they adapt to the environment. This is how we get drug resistant bacteria. Your job is to make sure they live in a clean environment. Here is how to cure breast cancer. Have a full-term pregnancy before age 25. A little late for some, I know, but many of you have daughters/granddaughters/nieces. Pass this info on. During pregnancy, hormone levels of HCG and progesterone go very high. These 2 hormones protect from breast cancer. Exposure to HCG later in life also appears to reduce risk of breast cancer. Good news for those of you who have done programs using real HCG. Breast Feed. Adoption of this behavior alone reduces the risk of breasts cancer by 59% in in women with high risk. No medication comes close to being that effective. The only procedure with better numbers is removal of both breasts. Easy choice. Never use prescription synthetic estrogens. These are found in birth control pills and synthetic hormones used to treat symptoms of menopause. They cause breast, uterine, cervical, and ovarian cancers, strokes, heart attacks and Alzheimer’s dementia. Use a progestin only pill if you decide a pill will be your choice. Other choices include: diaphragms, IUD’s, the Today Sponge, the rhythm method (better known as motherhood), and condoms. Take a supplement containing iodine or eat a diet high in iodine from sea vegetables. Iodine sterilizes your internal environment, preventing overgrowth of yeast. Yeast overgrowth causes inflammation. Inflammation creates the toxic environment that leads to cancer and many other chronic diseases. Use Iodoral or a similar product that has both iodiNe and iodiDe. 3 Iodoral/day is the usual adult dose. Don’t poison yourself with cosmetics. Many cosmetics and even underarm deodorants contain synthetic estrogens such a parabens. There are many synthetic estrogens in the environment such as bisphenol (BPA) found in canned foods. Parabens alone may not cause cancer; however, their effect can be combined with other synthetic estrogens to cause breast and other cancers. Most breast cancers are found nearest to the underarm lymph nodes that are exposed to deodorants. Use cosmetics and toiletries that won’t give you cancer. Avoid contamination with BPA and other environmental estrogens–so called “xenoestrogens”. BPA is found in plastics and the lining of canned foods. Children are more sensitive to BPA because their young cells are multiplying faster and they have a higher amount of fat in their bodies–especially young girls. Xenoestrogens accumulate in fat cells, especially those around your waist-another reason to lose weight. Fat around your stomach is especially toxic. Get rid of sugar and grains. Chronic inflammation from yeast overgrowth creates a toxic environment that can influence normal cells to change to cancer cells. Sugar and grains, even whole grains, cause abnormally high blood sugar levels. Yeast love sugar. Grains are also stored in such a way in large silos that they grow the type of fungus that produces chemicals, aflatoxins that cause cancer. Adopt my BALi Eating Plan, the Paleo Diet or some eating plan that gets rid of grains and sugar. Besides preventing cancer, Alzheimer’s, diabetes, stroke, and “heart attacks”, you’ll feel much better and lose a ton of excess weight. Start including antifungal/immune boosting food. Many of these are listed on the BALI Eating Plan but the more black, purple and dark red, the better. If you find those colors in cruciferous vegetables (purple cabbage)–double protection. Spice things up with the antifungal spices on my list. Dr. Greg Emerson discusses the use of immune boosting mushrooms on his website. I recommend the same ones. Supplement with vitamin D3. Ideally, you should have your blood levels tested to make sure they are between 70-100. D3 also protects against viral infections, depression, bone loss, prostate cancer, and autoimmune disease. Supplement with fish oil. This is another supplement that gives lots of bang for your buck. In addition to lowering your risk for breast cancer, good DHA (the important molecule in fish oil) levels reduce your risk of senile dementia, heart disease (many more women die of heart disease than breast cancer but there is not as much money to be made), stroke, and depression. Balance your hormones. This has to be done in conjunction with someone like myself, trained in natural hormone replacement. Go to www.acam.org to find a doctor in your area. Balancing levels of natural estrogens, progesterone, testosterone, thyroid, insulin, and adrenal hormones is critical to staying well in general. Even natural estrogens can contribute to cancer if not correctly balanced with progesterone and thyroid hormone. Thyroid hormone is especially important as it keeps your body at a temperature that inhibits yeast overgrowth. Yeast overgrowth contributes to the chronic inflammation that causes cells to protect themselves by changing into cancer cells. Black women have a higher incidence of death from breast cancer and other chronic diseases because they are more predisposed to hypothyroidism. There are some other more specialized prevention strategies such a removal of mercury amalgams from your teeth and heavy metal detoxing that apply to some individuals. However, just incorporating the above strategies is similar to fastening your seat-belt, having an airbag and driving a big SUV–your risk of dying will be greatly increased. When I was in Marine Officer Candidate School, the drill instructors were very hard on us. If you saw the movie Officer and a Gentleman, Lou Gossett’s character was a boy scout compared to real Marine DI’s. The reason they were so hard on us is that most of them had been in Vietnam. They watched their friends die. They were hard on us because they wanted to make sure we didn’t die if we went into battle. You can’t save the world. But you have a circle of influence that you can pass this information to. Whether they heed it or not–most won’t–is not your business. But you don’t want words of regret to later be ringing in your ears because you didn’t say them. Click an image below to view larger. Choose cosmetics free of estrogens and other toxic compounds. Dr. Hunter’s products are great. Find others at your health food store or West Texas pharmacy. Supplement with products that keep yeast levels low like Iodoral and Robynzyme. My experience is that Eco Thyroid works better than any thyroid replacement product I’ve experienced. It’s what I use and it does not require a prescription. Take care of your breasts and they will take care of you. Feed them well. Q&A: Is Black Seed Oil Making Me Feel Fatigued? 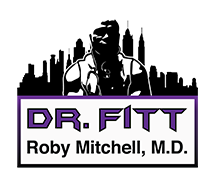 Keep up with Dr Fitt by following us with your favorite application. © 2019 Dr. Fitt Info. All rights reserved.